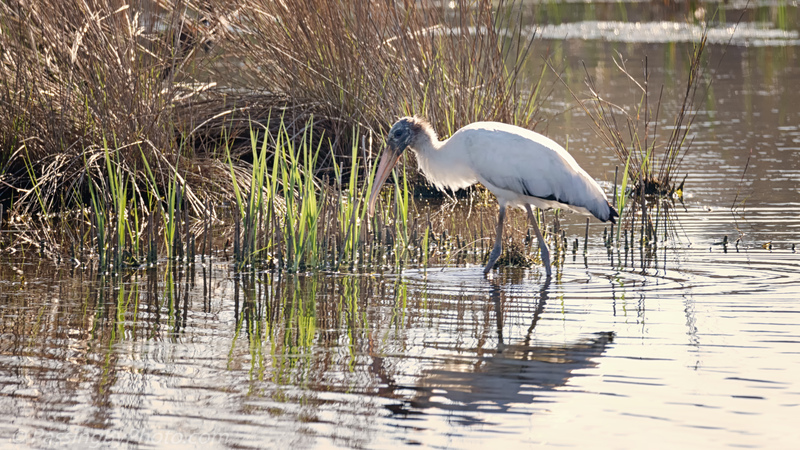 I spotted several Wood Storks wading in an overgrown rice field canal. Taken back in February, the grasses were just starting to show some new life adding a bit of color to a brown scene. 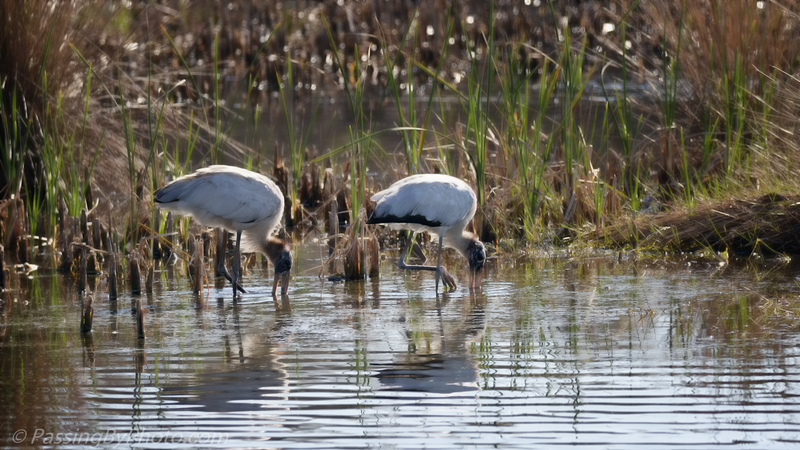 This pair was wading and feeding in synchronous motion, back and forth in this small open area.